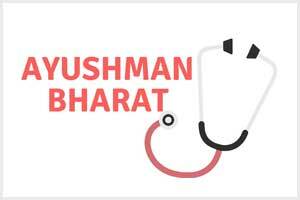 Kolkata: The contentious issue of package rates of Central government’s Ayushman Bharat scheme may be resolved after the Lok Sabha election, a senior official of a private hospital chain said here on Friday. The Indian Medical Association (IMA) has demanded a “reasonable and fair package rate” in the Ayushman Bharat Pradhan Mantri Jan Arogya Yojana (AB-PMJAY), which seeks to provide a cover of Rs 5 lakh per family per year and is likely to benefit more than 10 crore poor families across the country. “Government is seriously considering on package rates. We are expecting something after the election,” Medica Group of Hospitals chairman Alok Roy said on the sidelines of a programme organised by The Bengal Chamber. Price water house Coopers healthcare leader Rana Mehta said the rates of Ayushman Bharat is not sustainable for quality healthcare and the industry has to compromise on quality at these tariffs. “The charge of a procedure remains at the same level even after 10 years. It should have been higher by 50-100 per cent,” Roy said.